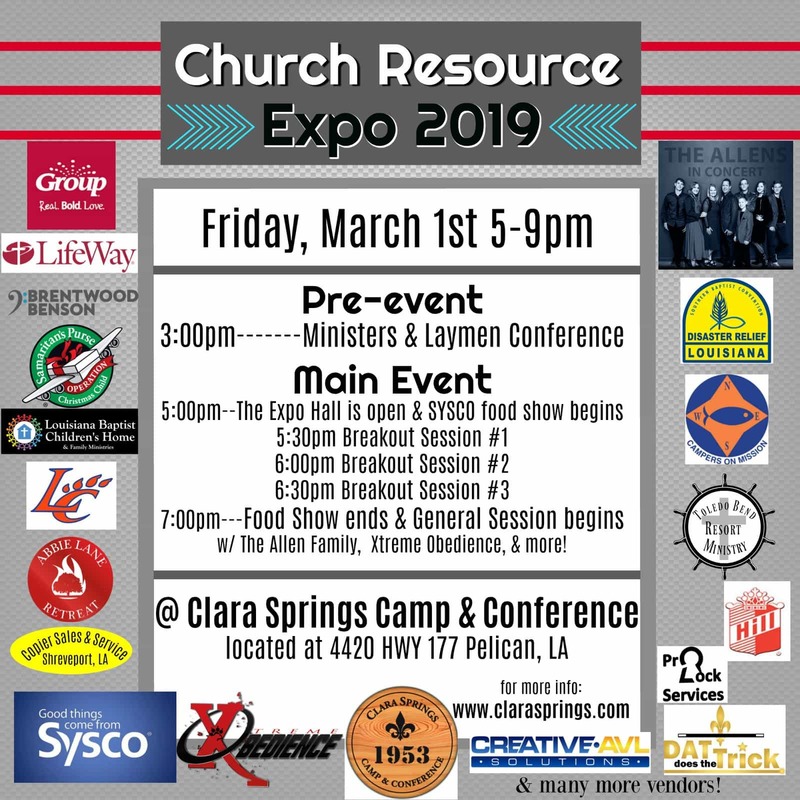 PELICAN – The inaugural Church Resource Expo will be held March 1, at no charge for attendees or vendors. Organizers expect more than 40 vendors to participate and are planning for a crowd of 400 at the Clara Springs Baptist Camp event in Pelican. Insurance representatives, office suppliers, copier sales and service providers, janitorial supply distributors and others will share information about the different products and support they can offer churches. There will be Christian entertainment, too. One of the largest vendors, Sysco Foods, will host a church food show that will spotlight various foods ideal for serving at Vacation Bible School, dinner on the grounds and other events. ­The expo will begin with a minister’s conference at 3 p.m., but the general public will need to wait for the main exhibit hall and food show to open at 5 p.m.
Twenty-four breakout sessions by vendors are being offered during the expo, and door prizes donated by vendors will be awarded. ­The expo will conclude with two events: a demonstration from Xtreme Obedience, a ministry that utilizes dogs to share the Gospel, and a small concert by the Allen Family. For more information go to the Clara Sparings Baptist Camp website, or call director Bubba Mills, 318.796.3875.